Couture Caddy | An Australian Fashion, Travel and Celebrity Blog: 2013 Golden Globes Giant Red Carpet Wrap Up! 2013 Golden Globes Giant Red Carpet Wrap Up! It's award season and I'm sure you've never seen so many red carpet recaps on Couture Caddy before in such a short amount of time. If you caught all the action from the Golden Globes red carpet live from my Facebook page, I'm sure you already have some favourites in mind. While it seems everyone had Golden Globe fever with golden style touches, fishtail frenzies and Angelina's peek-a-boo leg pops we also saw a lot of red, embellished whites and nudes as well as elaborate LBDs. 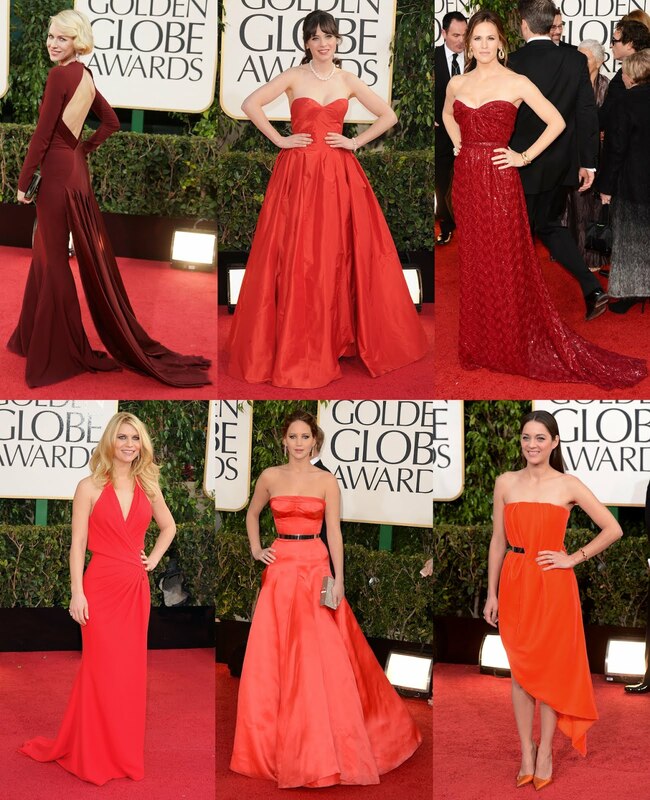 Here's a recap of the Globes red carpet trends and the stylish leading ladies who shone! Who's your favourite? I LOVE when you do this!! I think my favourites are the two McQueens - Nicole and Kate! Naomi Watts has the most interseting gown and Anne Hathaway looks the most elegent. Love all of them however and a great post. All the ladies look too beautiful and the gowns so glamorous ... wish I could be there one day.